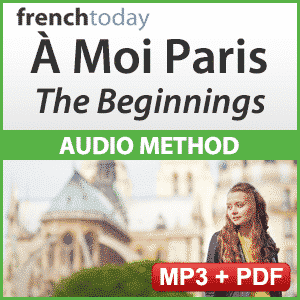 I have been wanting to create this method for a really long time but had to find the perfect way to distill my 20 years of teaching French beginners into a clear, fun and simple to use product. Other methods all assume you are a grammar wiz, or that you’ve had some French before. I don’t. All the novel part is recorded at 3 different speeds: slow, normal and native street French.